* Operating unit in reverse adaptor hose accessory removes oil from the equipment quickly and efficiently. * Design allows technician to add refrigerant oil to a system under pressure. * Siphon hose allows for the removal of old oil to prevent over-charging. * Pump universally mounts directly to the containers. * Pumping of oil can be done directly from the container, keeping oil free from dirt & moisture* Fits all major brands of refrigeration oil. 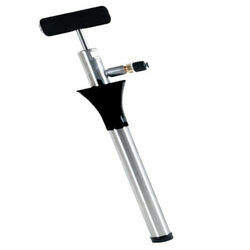 * Operating unit in reverse adaptor hose accessory removes oil from the equipment quickly and efficiently.